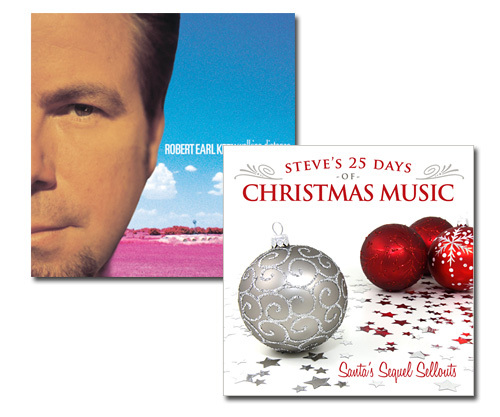 Today's we're featuring Happy Holidays Y'all, a song sequel to 1994's "Merry Christmas from the Family," originally written and recorded by Robert Earl Keen. We shared the original in our 2002 Edition of Steve's 25 Days via a recording by the Dixie Chicks with Rosie O'Donnell. The song basically depicts a Texas-style Christmas as patronized by, well, some backwards yokel-type characters. The 1998 sequel aims to pick up where the original song left off. I'm not sure that's actually a good thing.